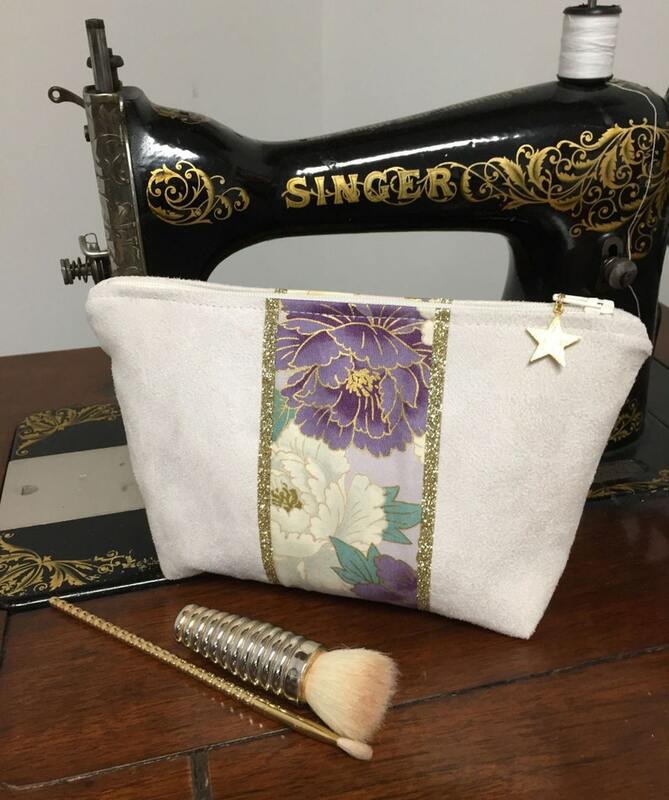 Elegant unbleached make-up bag, Japanese fabric bag pocket, pastel floral pattern, enhanced with golden glitter... A useful and elegant gift idea to store your small belongings, jewellery, varnishes, etc... and in a limited edition! On each side, a yoke of real Japanese floral fabric in purple, ecru and gold, in perfect harmony with the suede of the cover. 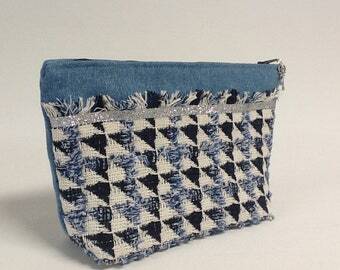 It is fully lined with a coordinated purple cotton fabric, branded Lesfilsdisa. The finishes of this cover are very neat and, as a professional, I offer you "the money back guarantee"!